Pictures feature new offices that will be next-door to the main 1041 Technology Park Drive location. 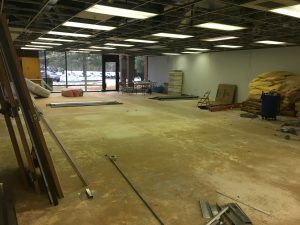 On January 7, 2019, construction began on the new Virginia Office of EMS (OEMS) offices. The 1001 Technology Park Drive location has officially closed and all visitors to the OEMS are asked to use the 1041 Technology Park Drive main entrance. 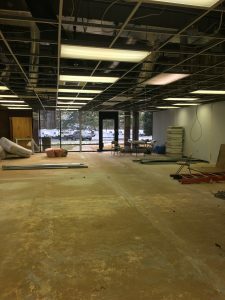 The office construction will occur over the next several months in three phases; the first phase is officially underway now. 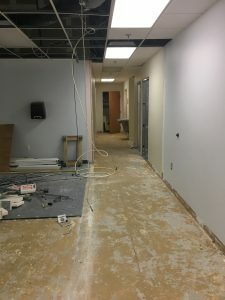 Once the first phase is completed, the OEMS divisions that were housed in the old office location will be relocated to the new office space directly next-door to the 1041 Technology Park Drive main office. The final phase of construction is tentatively set to conclude in May 2019. We will update regularly on the progress of this construction and move.